So I finally finished my new big drawing what I've been doing these days. And actually I did this quite fast, in my opinion! I had really really fun while doing this, maybe that's why I got it ready sooner than I thought. 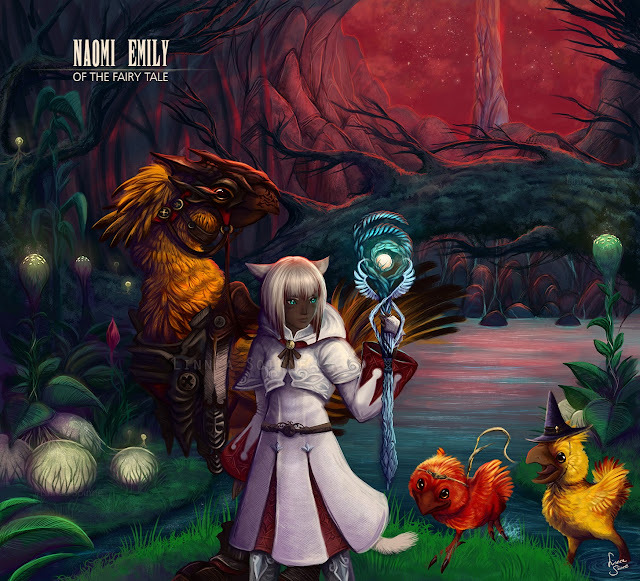 The female character is my own character from the Final Fantasy The Realm Reborn game. (That's the only game what I play actually) and I mixed in this painting something from the game, and also my own design. Also, my last painting related to this game was a bit brutal, so I wanted to make another, totally different atmosphere from that. Anyway, painting this world and colors and those little chocobos was very nice. Hopefully I'm able to start a new art work soon again!